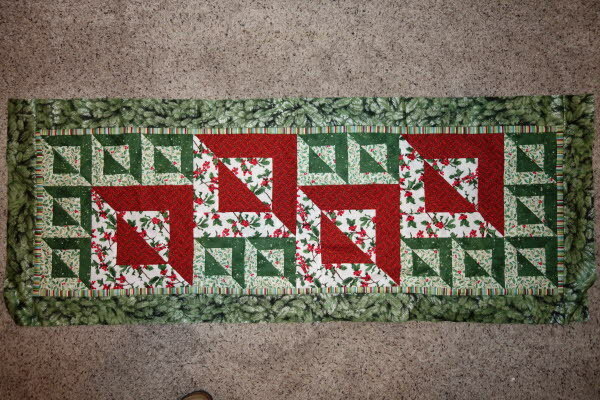 We made this runner using Christmas fabrics, but you may choose your favorite combination of colors. This class may work better for you if you have had some experience piecing triangles. This runner looks great using high contrasting fabrics. © 2007-2019 Dawn’s Quilt Shop. All rights reserved.